Above $200, it’s officially safe to say you’re in “You shouldn’t have!” territory. Welcome, friend! Have we got some treats for you and the lucky folks on your shopping list! 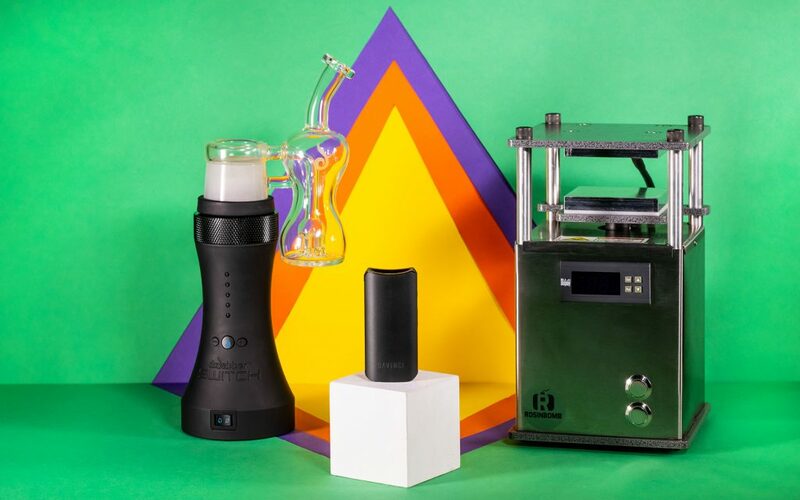 Whether you’re treating yourself or splurging for a loved one, you’ll find some real gems at this price point, including cutting-edge vaporizers, DIY dab presses, and much more. Next-generation induction power lets the Dr. Dabber Switch heat up with amazing speed and move swiftly between temperature settings. The Switch also lives up to its name, allowing users to vaporize flower or concentrates with equal ease. To see the Switch in action and learn more about the tech that drives it, check out our story on induction heating in cannabis. If you’re enamored with the modern architecture of this cold-filtered water pipe, better act fast. For one, it’s made with top-notch materials assembled in a seamless and elegant fashion. But also, demand is high and inventory is low, so shipping may take a minute. We see all kinds of things that simplify dabbing, but this color-changing quartz bucket is a current office crush that will ensure you never accidentally touch a scorching hot bucket again. The color of the quartz changes to tell you when it’s ideal to take a dab and when you’re safe to handle it with your fingers again. The DaVinci IQ marries low profile and high-concept designs in a deceptively simple and totally portable package. Featuring an all-ceramic airway for smooth inhales, a smartphone app that lets you set the temperature while the IQ stays in your pocket, and a removable, rechargeable battery you can swap out for a fresh one at any time, this vaporizer won’t turn heads until you decide to show it off. This kit was designed with daily use in mind. It’s small enough to fit in the palm of your hand, and there are a bunch of customization options and a two-year warranty on both the heater coil and the controller box. If you’re shopping for someone who’s looking to upgrade their dab style, this one is surely worth considering. Ahhh. 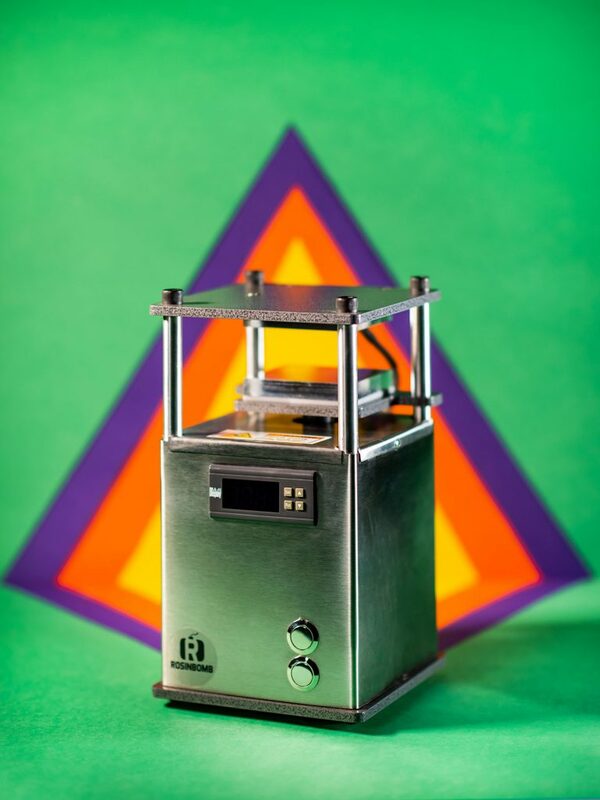 The soft whirrr of this small, light, at-home concentrate maker. Could there be a nicer sound to accompany holiday music and the smell of treats baking? This is the kind of gift you give to yourself, and since it’s small enough to fit in a backpack, you can tote it around anywhere to share the holiday cheer. The Puffco Peak is purpose-built for concentrate fans and a go-to choice for a flavor-forward, consistent, and powerful dab sessions on the go. There isn’t much praise we can give this rig that we haven’t already doled out, so we’ll just say that when it comes to portable concentrate consumption, you just won’t find many better options. The humble stash box gets all grown up with the Metropolitan Box from Diskreshen. 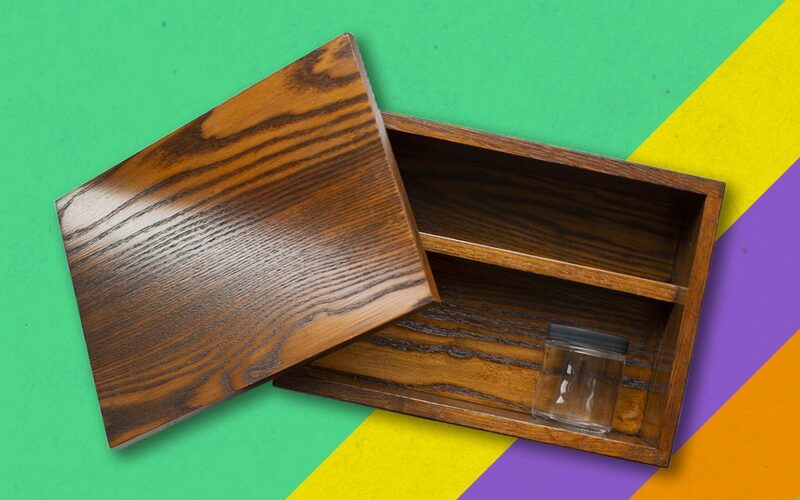 Each box is hand-crafted in Canada and customized with your choice of wood and stain for a final product that’s one of a kind. Inside, you’ll find a set of four glass strain jars, labels, and plenty of room for papers, pipes, lighters, and the rest of your accessories. Since each one is made to order, contact them soon to make sure yours is ready in time for the holidays.